The Fountain hospital at Tooting was developed by the Metropolitan Asylums Board as part of their remit in providing isolation hospitals for fever and smallpox in the London area, roughly equating to today’s inner London Boroughs. The MAB by this time were in the process of developing a circuit of fever hospitals around London which had commenced with a temporary smallpox unit at Hampstead which was briefly also used for accommodating idiot children when not needed for its intended purpose. This had been joined in 1871 by further units at Stockwell and Homerton which comprised separate permanent smallpox and fever blocks. The proximity of smallpox units to such centres of population resulted in their being turned over to fever use only and subsequent smallpox isolation hospitals were confined to the lonely stretch of the Thames at Long Reach, Dartford where old hulks were moored permanently and adapted with ward buildings aboard. 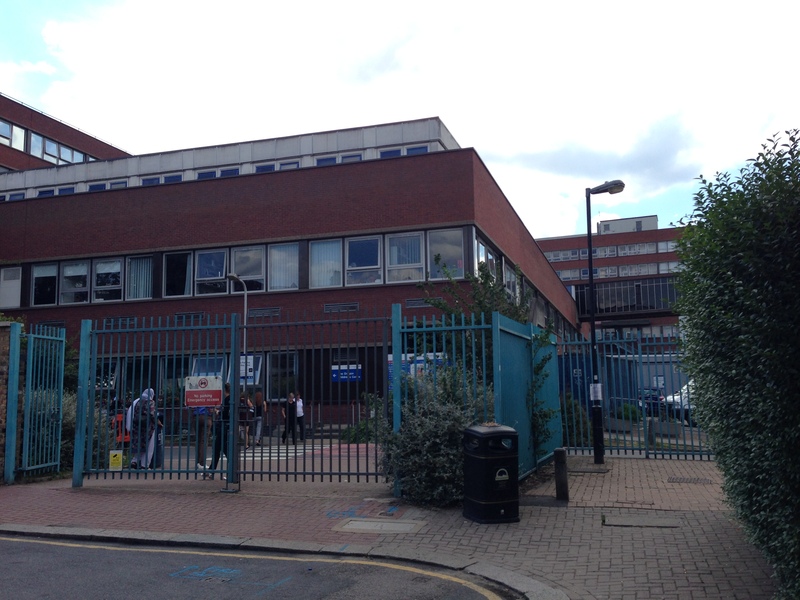 Two more hospitals at Fulham and Deptford were opened in 1877. 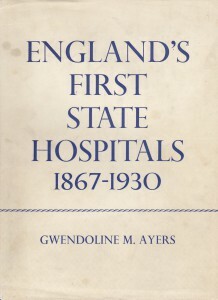 The problem of the hospitals sharing their names with the nearest town was also a source of complaint from local people not wishing their homes to be associated with such institutions and a convention for renaming the hospitals was developed, where they assumed a ambiguous directional location in relation to their position to the capital. 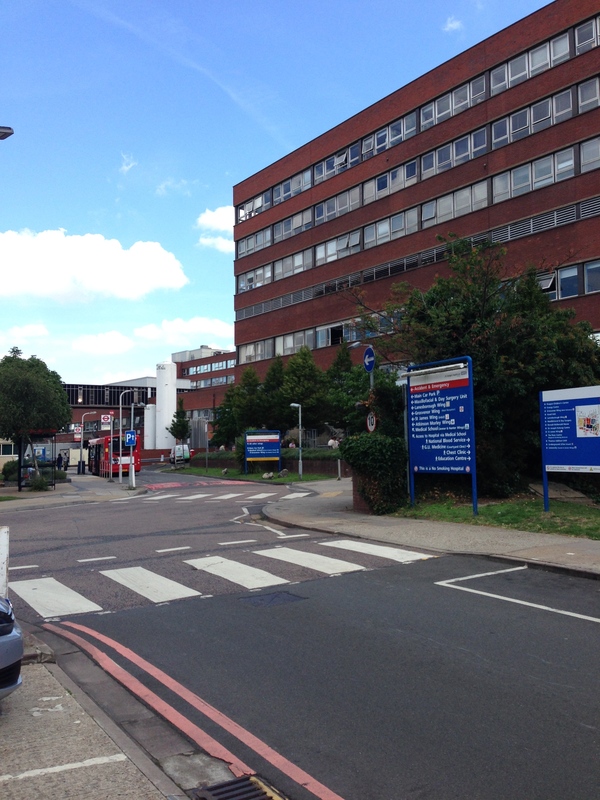 The hospitals therefore became the North Western (Hampstead), Western (Fulham), South Western (Stockwell), South Eastern (Deptford), Eastern (Homerton). However the MAB’s three imbecility asylums retained their geographical naming – Leavesden, Catherham and Darenth. The new designations enabled expansion of the fever hospital provision to be predicted for the remaining locations, with the North Eastern being added during the 1890’s and the Northern fever convalescent hospital was added at Winchmore Hill. The Southern Fever Convalescent Hospital was also developed from 1898 at Carshalton but turned over to use by the MAB for a specialist children’s hospital and the former Gore Farm Smallpox Convalescent Hospital near Darenth Schools and Asylum was renamed the Southern Hospital accordingly. Having utilised all directional names but still requiring further hospital accommodation for fever patients, a new strategy for naming the institutions even more ambiguous was devised. The first of these new hospitals was built at Tooting in response to a Scarlet Fever epidemic, and comprised a temporary structure named ’The Fountain’ hospital which was fitted out and ready in three months. The building was designed by Thomas W.Aldwinkle who was later to design the MAB’s Brook hospital and comprised of a series of eight pairs of wards connected by a open sided central corridor system with male and female wards separated by the central administration block and utilities. Detached staff residences were located at the boundaries the grounds which were protectyed by high brick walling and lodge at the main gates onto Tooting Grove. The wards and other buildings were constructed from corrugated iron on timber frames and were single storey. The Fountain hospital was intended only as a means of accommodating fever patients temporarily and that further institutions would be required. 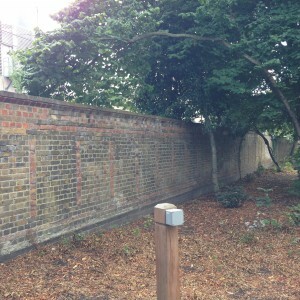 An adjacent site at tooting on the opposite side of Tooting Grove was utilised for the building of a permanent fever hospital named ‘The Grove’. Other sites were acquired at Hither Green and Shooters Hill for the building of ‘The Park’ and ‘The Brook’ fever hospitals, whilst ‘The Bridge’ was purchased at Witham. A series of smallpox units was developed at Dartford resulting in ‘The Orchard’, Long Reach and Joyce Green hospitals. 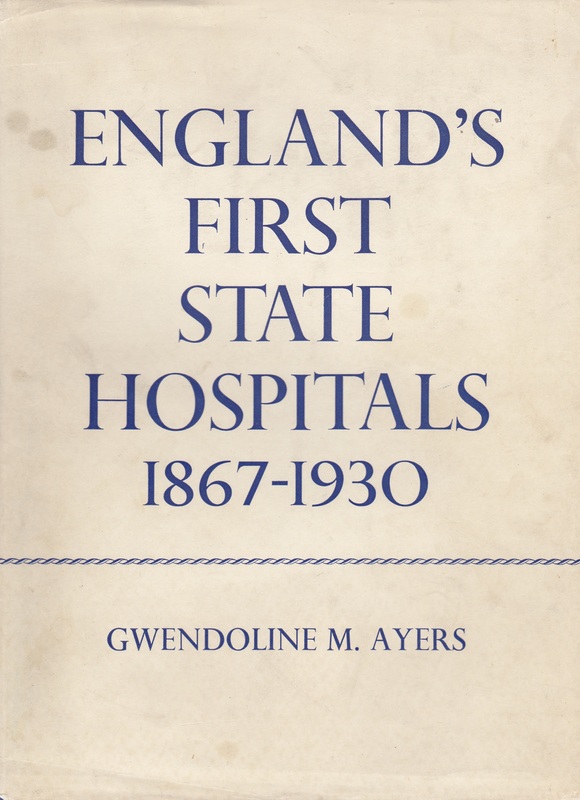 Such a large network of fever hospitals, was however not required for long before the need for them began to wane. New treatments and a loss of virulence diminished the need for such extensive provision and ‘The Fountain’ was permanently altered from the fever to mental deficiency division of the MAB in 1911. They had already opened an infirmary for the mentally defective and chronic lunatic adults at Tooting Bec which included a receiving wing for improvable children who could be assessed and transferred to the Darenth Schools. Improvable high grade boys could also be sent to The Bridge home in Witham, which had also transferred to the mental deficiency service. The Fountain hospital was set aside as an institution for accommodating children of the lowest grade of mental deficiency, termed as idiots (IQ 0-25). Unlike imbeciles/middle grade (IQ 25-50) or the feeble minded/high grade (IQ 50-70) they had been considered of little ability to be trained so had not been accommodated for at the Darenth Schools. Shortly after the transfer of The Fountain to become a hospital for idiot children, the Mental Deficiency Act of 1913 was implemented bringing about the creation of the Board of Control which would oversee the establishment and provision of a series of county and borough council developed institutions where persons identified as low medium and high grades of mental deficiency could be accommodated, segregated and trained in useful employment. As the equivalent authority for the London area corresponding approximately with that of the MAB, the London County Council took on this role, reassigning the temporary Manor Asylum at Epsom and the former Farmfield Inebriate Reformatory at Horley for this purpose. The majority of the accommodation was however to remain with the MAB who had a greater network of larger institutions. The Great War however was to stall much of the wider implementation of the Mental Deficiency Act until the 1930’s brought a raft of new Colonies for mental defectives to many county and borough authorities. The abolition of the Poor Law in 1930 brought about the demise of the MAB as an authority as its founding had been based upon legislation which had now been abolished. Consequently the institutions of the MAB were passed to the corresponding local authority, the London County Council. The LCC had also assumed control of a numerous and diverse range of institutions, predominantly workhouses, workhouse infirmaries and childrens homes from the Poor Law Unions the infrastructure of which compared badly to the MAB institutions which were generally newer and purpose built. Aside from integrating the MAB mental deficiency institutions into their own system, minimal substantial change was implemented. By World War II the LCC operated ten hospitals for the mentally defective, five being those inherited from the MAB (Leavesden, Caterham, Darenth, Tooting Bec and The Fountain) and five developed by the LCC (The Manor, Farmfield, South Side Home, Brunswick House, Leytonstone House). Attempts had been made to refine the classification of patients at each institution although The Fountain kept its designation of accommodating only children, predominantly of lowest grade. 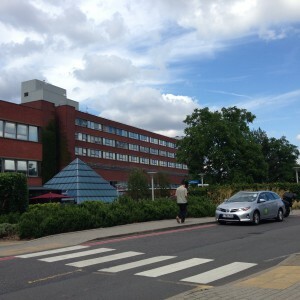 World War II required the evacuation of The Fountain site given its proximity to Central London and the Children were evacuated to accommodation at Leavesden Hospital. Of the 859 beds at The Fountain at the start of the War, 700 remained by 1948, the balance having been destroyed by bombing which wrecked three of the male wards at the north west of the site as well as staff and ancillary accommodation. The children were returned to the remaining accommodation after the war. 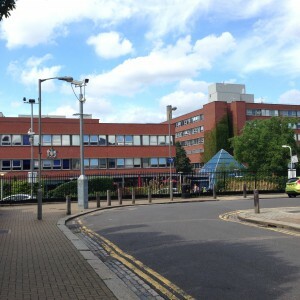 The creation of the National Health Service resulted in all the remaining LCC hospitals being passed to the new authority and by 1948 The Fountain hospital was still occupying the temporary wards built over fifty years previously. The need for fever accommodation had further diminished by this time and during the 1950’s plans were put in place to make better use of the large complexes occupied by the former MAB hospitals, putting them to other uses. 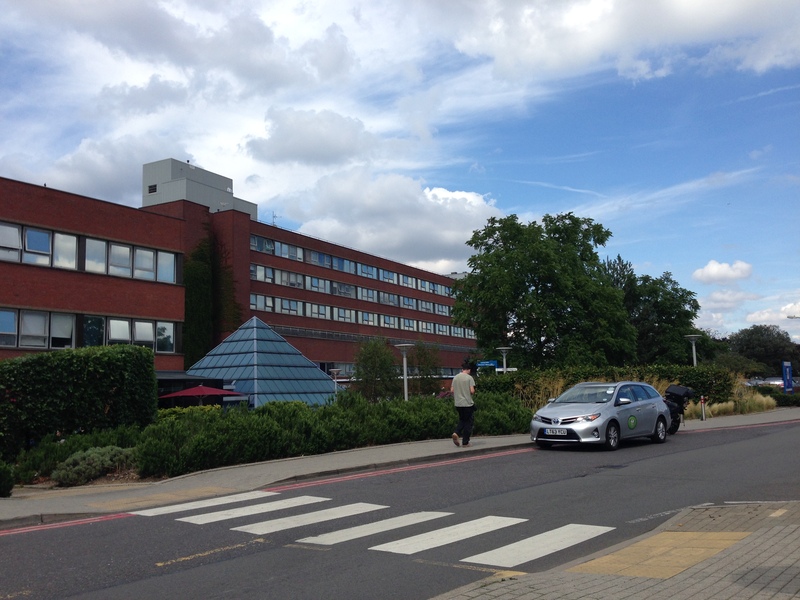 There was a desire to reduce the concentration of teaching hospitals in the Central London area and two teaching hospitals were chosen to transfer to the sites of MAB institutions. 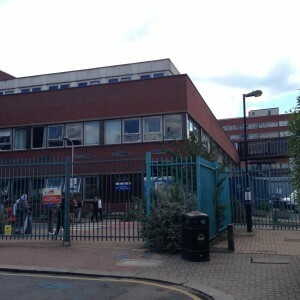 The Royal Free Hospital on Grays Inn Road was to take on control of the North Western Hospital, Hampstead eventually moving all services onto that site having developed a new building complex there. Correspondingly in 1954 St. George’s Hospital, Hyde Park Corner was allocated use of The Grove and Fountain sites and put to an end plans to rebuild the latter institution on the original site. The Fountain was joined in 1959 with Queen Mary’s Hospital for Children, another underused former MAB institution at Carshalton (initially intended as the Southern Fever Convalescent Hospital) which had included medical and surgical treatments but had not previously accommodated subnormal children. 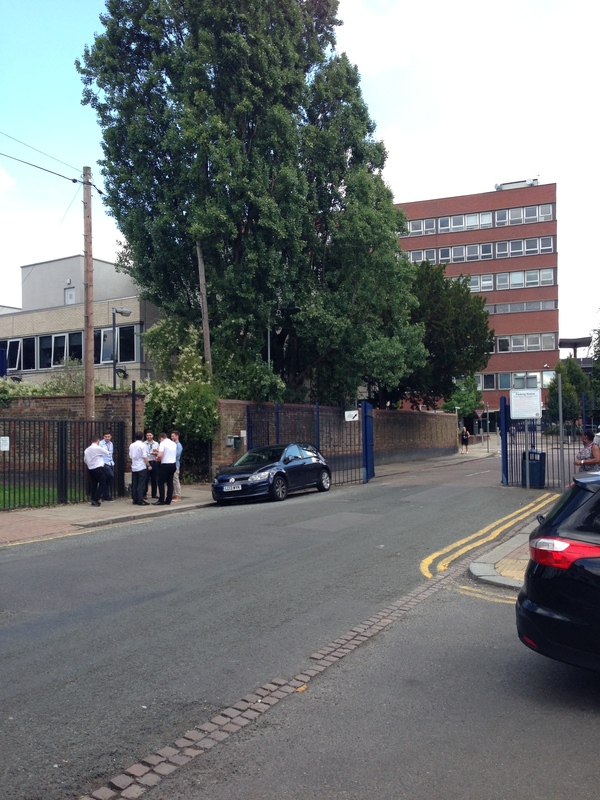 Villas were set aside and the children were relocated to the Carshalton site. 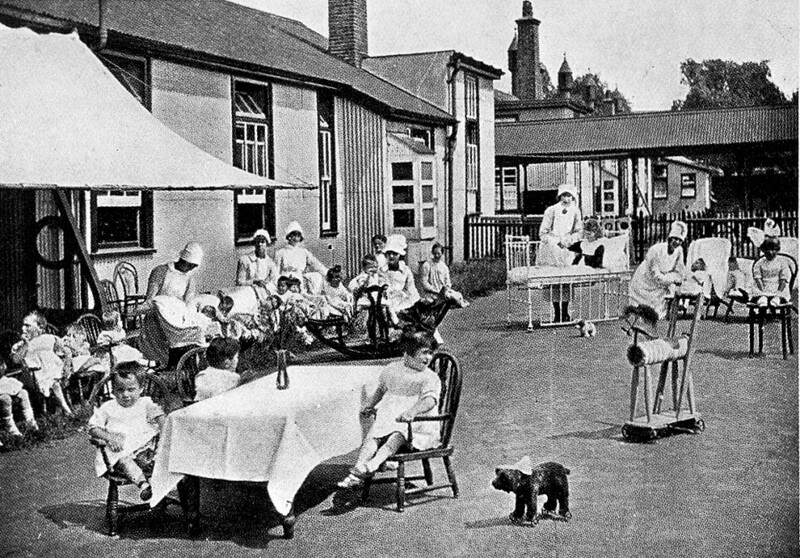 Those over sixteen years of age were not transferred to Carshalton but instead sent to Epsom, where the St. Ebba’s Hospital had been redesignated from accommodating the mentally ill to the mentally subnormal in 1962, its previous patients being sent to other hospitals in the Epsom Cluster. 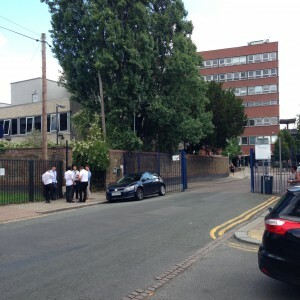 The intention was to transfer others reaching their sixteenth birthday from Queen Mary’s to St. Ebba’s but the process eventually ceased with a separate unit being established at the Carshalton site from the late 1980’s as Orchard Hill hospital to house many of the, by then, adult patients. 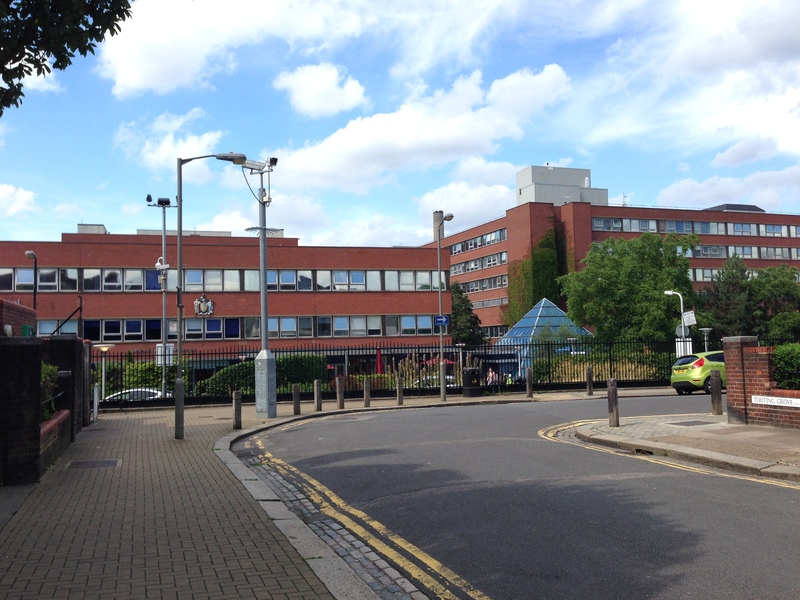 The Fountain site was closed in March 1963 and the buildings turned over to St. George’s hospital which used them temporarily prior to the redevelopment of the site which commenced in 1973. 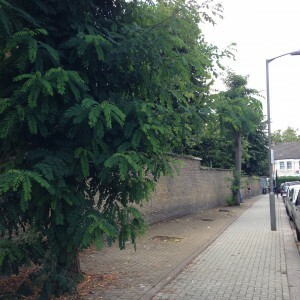 Tooting Grove, which ran along the west side of the site was closed to traffic, enabling the Fountain and Grove sites to be combined with the Grosvenor and Hunter Wings to be constructed across the central section of road. 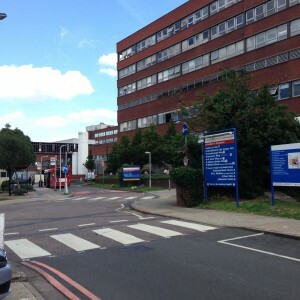 The new St. George’s hospital was officially opened in 1980, marking the closure of the Hyde Park Corner site. 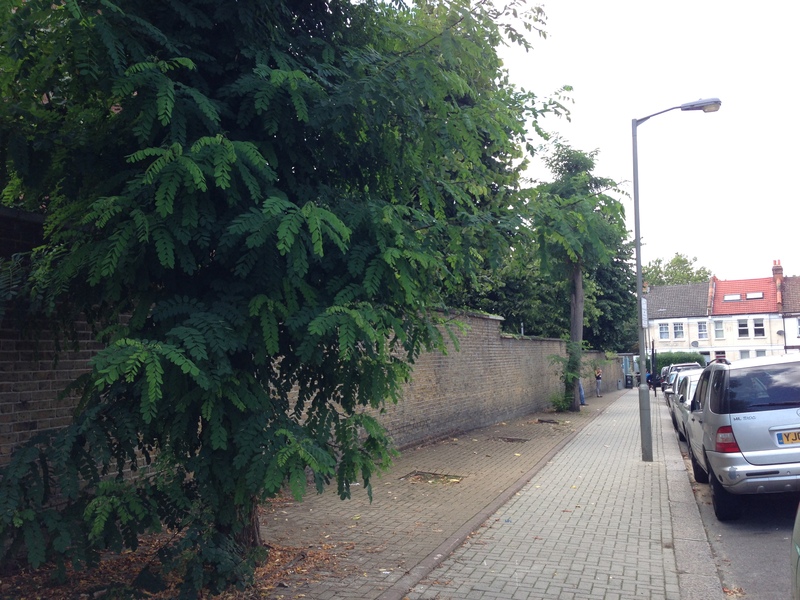 Two remaining section sections of Tooting Grove survived approaching either side of the hospital with the northernmost section having been renamed Cranmer Terrace. The main bulk of The Fountain site was replaced by the Lanesborough Wing of the new St. George’s hospital with all the old buildings having been demolished. 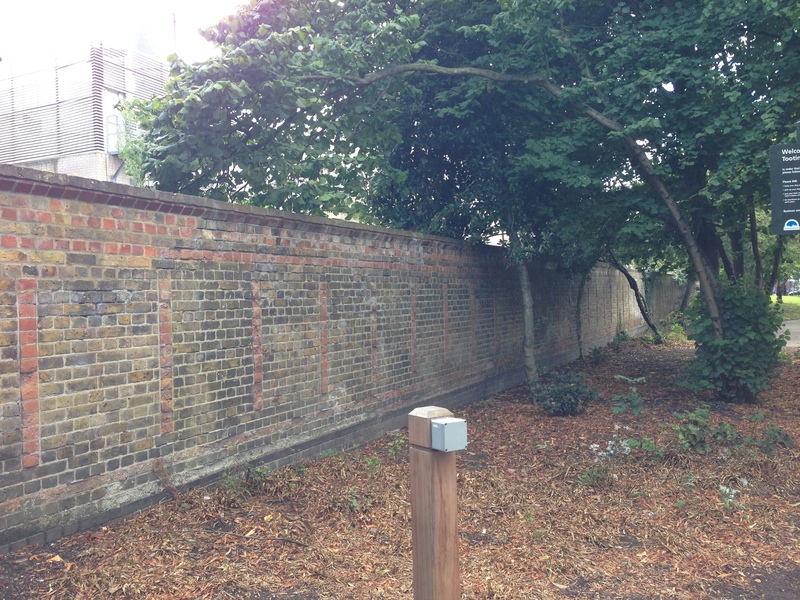 Only the original boundary wall survives, the largest section running alongside Tooting Gardens onto Cranmer Terrace and another newer segment survives on Coverton Road at the north-east of the site. A few original buildings from The Grove Fever Hospital continue to survive on the western section of the St. George’s site. My little Brother, Barry O’Sullivan was a patient at the Fountain Hospital, Tooting in the 1950’s. I can remember visiting him every Sunday. Brothers & Sisters weren’t allowed to go to the wards, we had to sit in the Porters lodge. I only got to see my brother if the weather was nice & he was well enough to take to a nearby park. Barry was born in 1956 & died in 1959. I was seven yes old. My parents , especially my late father never got over the fact Barry had to go away to live. There was no help in those days for parents of Downed Syndrome children. We lived in 2 attic rooms, no running water, apart from a sink on the middle landing. 1 toilet on the ground floor shared with 4 other families. We had 6 flights of stairs up to our rooms. Having said this, the house, toilet & all the rooms were spotless. There was a great sense of pride in keeping the home clean & tidy & making the most of what we had. No one was out of work. But, due to living conditions, our darling Barry had to go away. I can still remember the heartbreak. Barry also had a hole in his heart – no operations in those days. My Mother, 90 next month, always said how well cared for & loved our Barry was in the Fountain Hospital. Barry died aged 3yrs due to yet another bout of pneumonia on 7th November 1959. He never got to the Hospital in Carshalton.